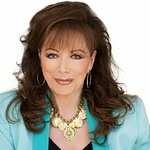 Author Jackie Collins, who died last month of breast cancer, has left a lasting legacy to fellow breast cancer sufferers. Before she died, Collins penned a message to her fans urging them not to give up if they are diagnosed, and to help those suffering from cancer. “As you may have recently heard, I revealed that I have been LIVING life to the fullest with Stage 4 Breast Cancer for the past six and a half years,” she wrote. "With October being Breast Cancer Awareness Month, my message is this: Early detection can save lives! Get regular mammograms, and/or tell your loved ones too. Low cost or free mammograms are offered through many national programs and community organizations, so do your research. Even if you’ve been screened, and you have a gut feeling that something in your body is off, get a second opinion! “Cancer does not have to be a death sentence! You, or someone you love, can live an extraordinary life regardless. Be kind and be grateful. Never underestimate the power of your mind. Embrace what you love, and LIVE life to the fullest, as tomorrow is not promised to any of us. Whatever your pain or struggle in life, don’t allow it to turn you into a victim… let your battle turn you into someone else’s hero! “For the month of October I will donate 20% of my self-published book sales, with proceeds going to the Susan G. Komen Foundation."